Impatiens Divine Violet a member of Balsaminaceae family of plants creates beds of color throughout summer and fall. 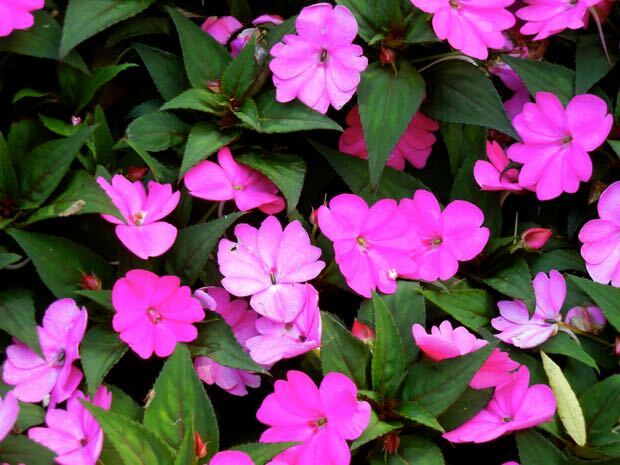 Impatiens Divine Violet is a perennial that can grow 40 cm tall though it is usually planted as an annual. Plant it in full sun or partial shade in moist but well-drained soil. 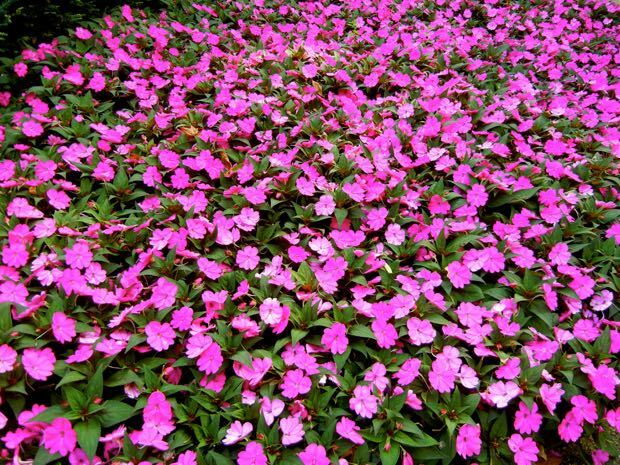 It is great for borders, ground cover or containers with a big burst of color for long periods.